Port Sunlight Village Trust is delighted to be exhibiting at the 20th RHS Tatton Flower Show. Our garden, named ‘130 years of Port Sunlight, The Garden Village’ celebrates the 130th anniversary of Port Sunlight and the remarkable vision of its founder, William Lever. 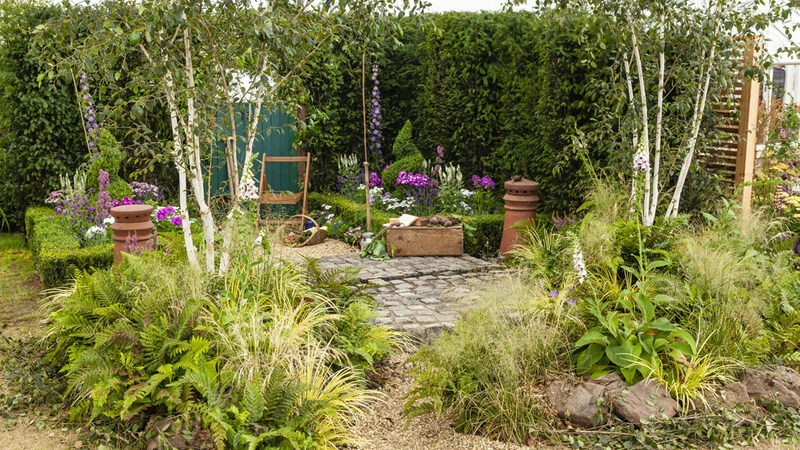 We are delighted to have been awarded a Silver Medal by the Royal Horticultural Society in our first ever Back to Back garden. The informal and formal sections of the garden represent the importance Lever placed on health and wellbeing. He promoted exercise, healthy eating and fresh air by providing recreation facilities, allotments and open spaces for his workers. The water feature reminds us of the role water played in shaping the layout of the village and in providing essential transport links which enabled Lever Brothers to make and supply products worldwide. Original village cobblestones create a very real link to the past and a nod to the Arts and Crafts Movement – one of several artistic movements present in Port Sunlight which make the village so unique. Come and see the garden at stand no. 323 between the 18th – 22nd July 2018! We would like to thank our RHS Tatton garden sponsors and donors for their invaluable support.